In my pantry for several months now I have been hoarding 2 treasured items – a packet of malt biscuits and a bag of fruit puffs. 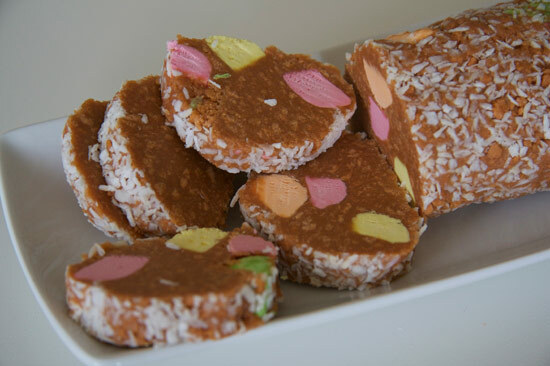 These items are precious to me because they are indigenous to New Zealand (like me) and they cannot be found on the shelves here in Ireland – believe me I’ve looked! 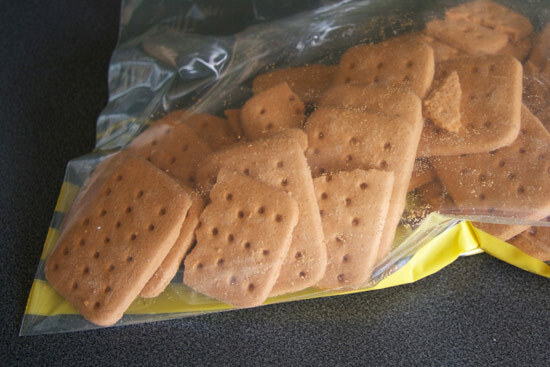 For those without a good Kiwi upbringing, malt biscuits are a dry orange/brown biscuit with a similar texture to rich tea / super wine biscuits but with the added flavour of malt. The malt flavour is essential. You can substitute with other biscuits, but it really wouldn’t be the same. 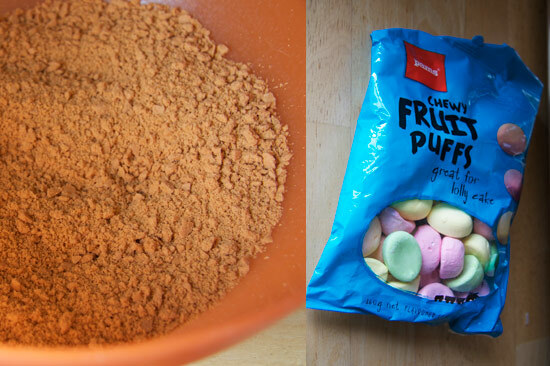 Fruit puffs are a foam-type sweet available in NZ, they’re a bit like firm dry marshmallows in different fruity colours. Wrap in clingfilm and refrigerate for at least 1 hour before slicing. A printable PDF of this recipe can be found here.